Whenever a story pops up about an angler who caught a giant fish with his bare hands, you can’t help but feel all that equipment you bought might not be worth it. But fishing with the proper gear not only makes it more likely that you’ll catch fish, but also that your fingers won’t be sliced open at the joints. Here is a look at some hot new items that can make this your best spring fishing season yet. 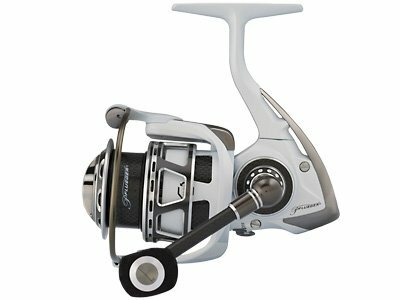 Among the plethora of reels to choose from this year is the newly released Pflueger Patriarch XT Spinning Reel. The Pflueger bills itself as one of the lightest spinning reels ever, which it accomplishes with a magnesium body. Ordinarily this can make reels prone to corrosion especially in saltwater. But the Pflueger has taken the expert step of housing all those critical components within a water tight seal keeping corrosion to a minimum. For a top of the line bait caster check out the newest offering by 13 Fishing. This 11-bearing reel, also constructed of magnesium, is made from top of the line parts and too can be used in both saltwater or freshwater. It does come with a hefty price tag though at $380. 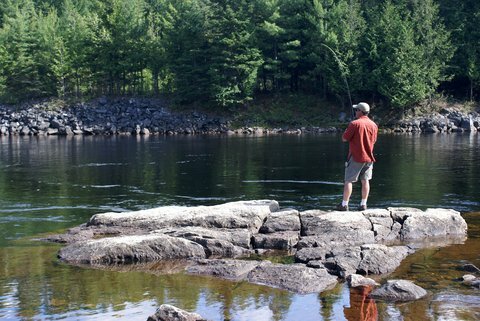 For rods a great option is the St. Croix line of eight casting rods. These super lightweight rods maintain the strength you need to pull in a whopper and run anywhere from $100 to $400. For the backcountry fisherman, a compact backpackers fishing rod is great for when you don’t have much space. We’ve all seen the rods that break down into four or five pieces. Another interesting option in this category is the Emmrod that uses stainless spring steel that breaks down to just 13 inches. When it comes to storing your gear in the field, there is always the time-tested fishing vest. This year L.L. Bean has created a stylish new design called the Kennebec Boundary Pack. This pack will not only keep your essentials dry but you’ll be the talk of the town back at the campfire. This comfortable design fits snuggly over your chest with a total of nine storage compartments. Another cool option this year is the Steamboat Sling Pack from Umpgqua. This ergonomic design slings over your shoulder and allows for ease of motion and clear sight lines to the stream floor when you’re wading across. Lastly, another gear pack caught our eye not only for its design but its name and that’s the Sushi Roll by Fishpond USA. This unique design is perfect for keeping your large streamers safe and secure. There are so many lures to choose from it would impossible to begin to tell you these are the most important you should carry. But two lures on the market seem worth mentioning. One is called the Pompadour by Jackall. This is a surface crawler perfect for catching cod or any predator fish like bass. The rattle and wing slap on the surface is what gives makes this lure extra successful. Another soft plastic lure to always have in the bag is the Storm Swim Shad. There’s really no wrong way to use a swim shad and it has lots of applications in both saltwater and fresh. The best way to use it is to let it sink to the bottom and then work it with a couple of jigs and reel it in. 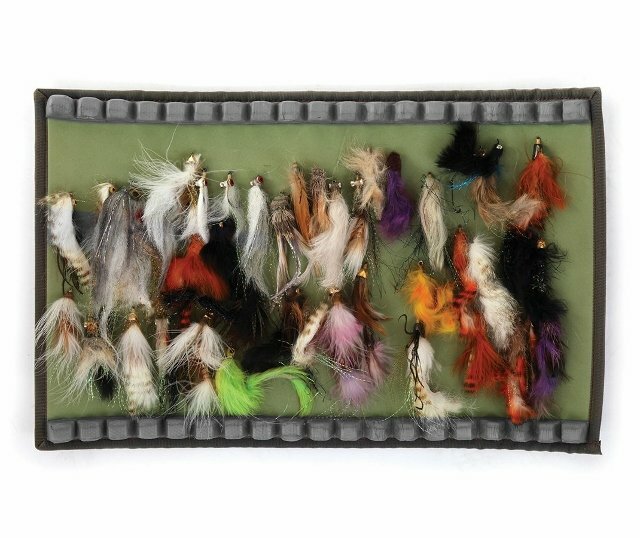 The action from the paddle sends out vibrations that attract fish along with the flashing colors, which makes this lure irresistible for hungry fish.